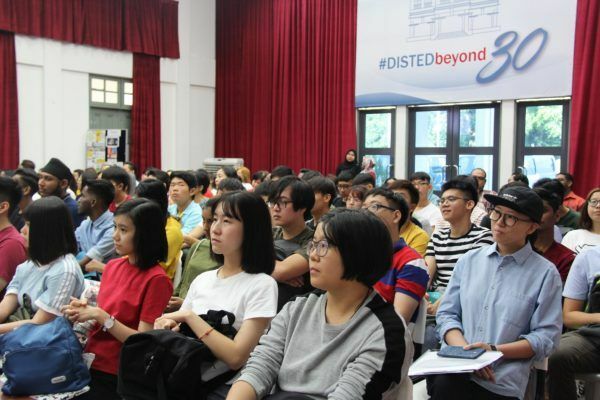 The recent DISTED freshman orientation serves as an exciting event to introduce students to the college which they will call home for the next few years. 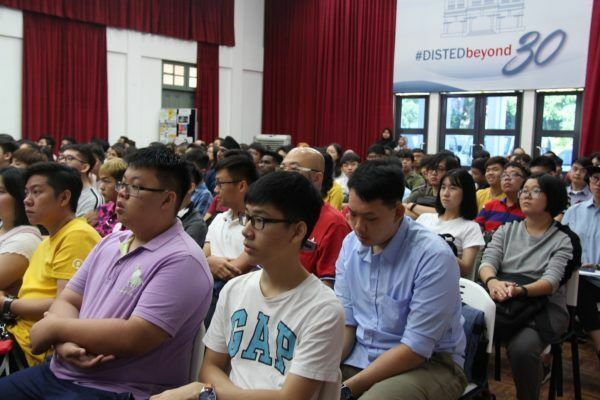 The DISTED new student orientation offered not only practical advice about their programmes of studies and the facilities available at the college, but also served as a good opportunity for the new students to get to know their new friends and lecturers…..basically their campus community! Dr. Seah Soo Aun, President and CEO of the college, advised the students to improve their communication skills, as well as learn to work as a team. 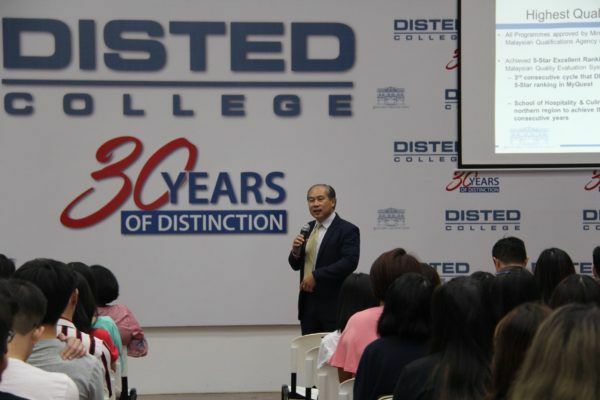 He informed the students that here at DISTED, students are being prepared and groomed for future success based on requirements of employers. He also mentioned that DISTED has started adopting the “blended teaching approach” in most of their subjects. This 21st century teaching and learning approach focus on the student-centred learning; and emphasise high order thinking skills which will position students to be industry-ready for the future. 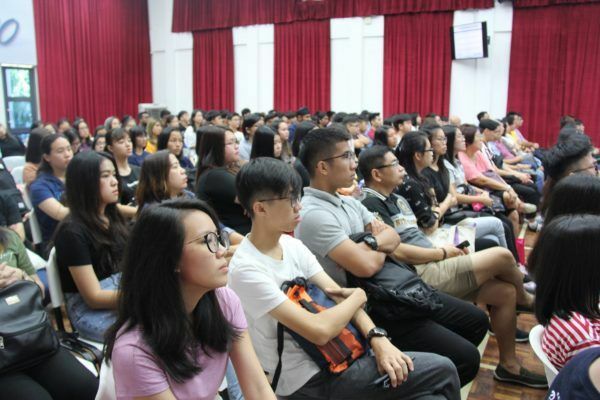 The new students were also put through enjoyable and fun orientation events, including online quiz contests as well as ice-breaking events organized by the college’s Student Representative (SRC) members. All in all, it was a fun and yet informative student orientation that will be well remembered by these students over the course of their studies at DISTED!